I’ve just got back from a very welcome, and very overdue, two week holiday. I’ve not been doing any blogging while away (or much in the weeks prior due to pressure of work), but it gave me the chance to think about my review backlog. My review policy, as per my About page, is generally not to accept books for review. Mostly I stick to that, but not always. Sometimes I get offered something that tempts, sometimes I just get sent something without asking. The result is that over the years I’ve built up a fairly sizable number of books which I do feel obliged to review (and which in pretty much every case I do actually want to read), but which don’t necessarily fit my current mood or reading plan. and finally, every one of the Richard Stark Parker novels. If you’ve sent me a book and it’s not on the list, please feel free to remind me in the comments. The Shining Girls, by Lauren Beukes. That doesn’t include several kindle singles and Galley Beggar shorts I’ve read and intend to review, nor some comics I’d hoped to cover. The thing is, after a while a backlog becomes a burden. It’s something that looks awfully close to work, unpaid work. It’s not fun, and what’s the point of blogging if it isn’t fun? So, I do still intend to review everything in my current backlog, not least because several of them are very good and even the ones I didn’t take to are still interesting and would work well for other readers. I still intend to read every book that’s been sent to me for review, though I make no promises at all as to when. What I also intend though is to be even more careful what I take on going forward. If I accept a book for review it means adding it to a pile that’s already years old and yards long, which is silly and only worth doing if I’ll be prioritising it ahead of all the existing books in the review pipeline. Otherwise, going forward I’m going to go back to reviewing the last book I read, and the books on the review backlog will get fitted in when I get a spare moment to do so and in whatever order I happen to feel like. That’s not ideal as it means some of them may end up unreviewed for quite a while, but I don’t want to go on being permanently months in arrears – I don’t enjoy it as much as I do blogging as I go along. Anyway, that’s it by way of update. Any thoughts you might have on how you deal with reading or reviewing backlogs (including the dread TBR pile which every reader has whether they blog or not) will of course be very welcome in the comments, as they always are. 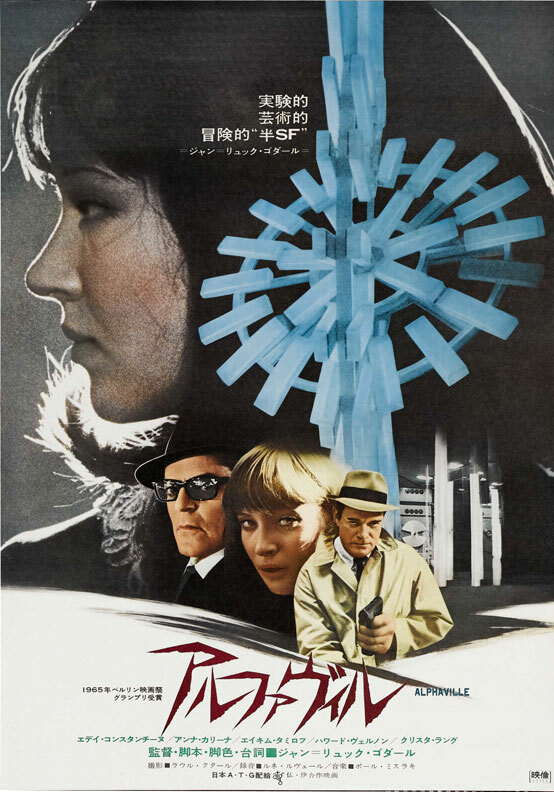 On a final note, some of you may wonder why I have the Japanese poster for Alphaville, a film I haven’t even watched yet, as the image for this post. Actually, there is no good reason. I just like the poster. This is a test post to check how the WordPress app on my ipad works (or doesn’t). So, I’ve been listed on Freshly Pressed (thanks WordPress editors!) and if you’re reading this you may well have found my blog because of that. Firstly, welcome and please feel free to leave comments (though you don’t have to of course). Secondly, as you’ve probably already worked out this is a reading blog. How it works is that I write up each book I read. Mostly it’s literary fiction (including modernist and experimental works), but also some crime, SF and whatever else may take my fancy. Thirdly, if you scroll down on the right hand side you’ll find a link titled A random post. If you click on that link you’ll be taken to a random blog entry from my archive. Give it a try, it’s a fun feature (well, fun for me anyway – if there’s anything literary bloggers love it’s people digging up old reviews). If you do wander into the older posts, again comments are totally welcome. Finally, each year I do an end of year round-up post in which I talk about the best books I read that year. You can find those posts, for each of 2009 to 2012, in the Annual Reviews section on the right. You’ll also find there my two Personal Canon posts, where I talk about the writers who were most important to me as a teenager and the ones who’re most important now. That’s it really. Thanks for dropping by, and please check out some of the links in the blogroll to the right. I put links there for the blogs I chiefly follow myself and they’re all blogs that I regard highly (a few are dormant, but I hope they’ll return so I keep them there). I got back from holiday yesterday. I was away more than two weeks and the only reading matter I had on me was my new Kindle (a Kindle 2). So, how did that work out for me? I posted my initial thoughts on the Kindle here, and those still hold pretty good. But having now used it solidly I have some additional comments to make on it. Generally, it worked very well. I’ve now read on it two novels, two short story collections, most of a third novel and a fair chunk of a non-fiction work. I didn’t have any problems with any of them. Typos were rare (certainly no more common than in printed books) and I wasn’t aware of reading on a device as opposed to a page. That said, my Kindle crashed on three occasions. Rebooting isn’t hard, but I’ve yet to have a paperback crash on me. Another wrinkle was that air crews view it as an electronic device and as such as prohibited from use during take off and landing. That’s a fair chunk of time on a flight, and means that in future I’ll be packing the Kindle and a book of poems or short stories for reading during those parts of the journey. Battery life is good. It didn’t last the full period, which is far short of the month of reading advertised. It did last nearly two weeks though and given I was on holiday I was reading more than I would have been normally. When it gets to around the 20% power level it becomes less reliable and more prone to crashing, and at that level the power remaining display loses accuracy which led to it shutting down unexpectedly on me at a very inconvenient moment. I didn’t use wifi originally so as to conserve power. After it ran out and was recharged I did and downloaded a software update which has made the Kindle’s performance visibly quicker. Overall, I remain very happy with it. My only caveat is that I would now pack one backup book for use during take off and landing or at times when the Kindle is low on power and needs recharging. Other than that, when I travel in future this will be what I’ll be travelling with. I’ve recently received one of the new next generation Kindles (Kindle 2 I think they’re called, though I could be confusing models). It’s £109 from Amazon UK and wifi but not 3g enabled. There are 3g versions, I just didn’t feel I needed one. I’m also going to be offline from the third to the 20th of September inclusive. As I say in the sidebar, during that time it is highly unlikely I will be able to update my blog or read and post to other people’s. The Kindle is going with me. I’ve loaded it up with books and I’ve got a good third of the way into David Mitchell’s Ghostwritten since receiving it. I thought therefore I’d post a few thoughts on that while also letting people know I won’t be about. It’s very easy to use. The screen is a decent size, the resolution is much sharper than the previous version of the device and the pageturning is fast enough that it doesn’t bother me. I’ve found reading on it a breeze, sufficiently so that I’m not really noticing much difference between reading on the Kindle and reading an actual book. Of course, that’s partly the book. A good book should draw you into its world, or force you to engage with its language (or do lots of other things actually, but it shouldn’t generally leave you thinking at length about its physical form unless it’s something like The Unfortunates). Still, it’s interesting to me and in future when I’m travelling I’ll be taking the Kindle instead of my usual pile of books which then take up half my weight allowance. Also, I see myself going forward buying mass publications solely on the Kindle, and restricting my hardcopy purchases to people like Pushkin Press, Dedalus, Dalkey, Peirene and so on. Those books do give me pleasure to hold, and those publishers tend to publish books which are both interesting and often obscure making them hard to otherwise get hold of. NYBR may end up being Kindle purchases though in future. Which means, if in some future year a meteor hits me on my way to work that a good chunk of my then library will be in electronic form and access to it will be lost as I’m vapourised by tons of falling superheated rock. To the best of my knowledge (though I’m not an IP lawyer) electronic books are licences and can’t be left in wills. Equally, if that meteor passes me by but takes out Amazon’s head office causing them to go bust, that part of my library will go with them. Those are real concerns. Well, not so much the meteor part but the temporary nature of books I buy in that format. That said, there are benefits too in terms of storage and ease of access. No technological change comes without downsides. My other comment on the Kindle is that it’s easy to find yourself purchasing more books because you don’t see them accumulating on the shelves. That’s something to watch out for, after all whether in hardcopy or electronic there’s still no point to stacking them up and not reading them. The other is that as presently set up it’s far too easy to accidentally buy a book. So easy there’s a cancel this purchase option which triggers as soon as you make a purchase. So far I’ve purchased twice by accident, though the second time I was able to use the cancel option at least. Still, not a feature I’m fond of. The book I bought accidentally and didn’t manage to cancel was at least one I would have bought eventually anyway, Don Carpenter’s Hard Rain Falling from NYRB. Other than that, I would comment that so far the David Mitchell is excellent, though it’s a touch unfortunate that the part of the book focusing on the life of a financial lawyer gets confused about the differences between investment houses and law firms – something that wouldn’t really matter save that I am a lawyer working in related areas and so I found it a bit jarring. A small complaint though for such an intriguing book. All going well I’ll be back online from the 20th, and posting and updating soon after that. In case of meteor strikes before then, my money’s on the Galgut for the Booker. Which probably means it doesn’t have a hope. Well, I go away for the weekend and when I get back my theme’s changed. I wonder what happened. I’ve now put a new theme in place and deleted the one that was substituted somehow for my previous one. Was my previous one withdrawn I wonder so that WordPress automatically gave me the nearest equivalent? Was there some kind of WordPress update generally? I’m redoing my widgets, several of which were deleted with new ones being added, and the new theme I’ve now picked is actually an improvement in some ways (you can see italics in quotes which is nice). Still, something of a surprise and slightly tedious. My laptop’s down at the moment, and may be so for a little while. That may mean updates have to come from my work computer, which takes a little longer and which won’t be happening anyway until the weekend/early next week as I’m travelling on business at the moment. Other than that, Swann’s Way continues to be excellent and I’m now most of the way through it, and if the laptop situation improves sooner than expected I’ll be back online later this week to tell you my thoughts on it. Otherwise, watch this space and there’ll be an update in a few days. Just a quick update to say that I’m closing a transaction at work at the moment, which has meant not a lot of reading (or time online generally) this past fortnight. 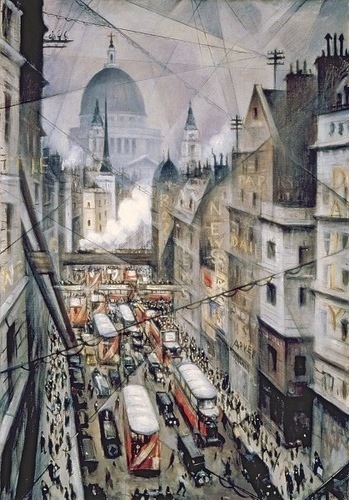 All going well, normal service and posting should resume next week. Pushkin Press is relieved to announce that Jean-Euphele MILCE has survived the earthquake in Port-au-Prince. We do not know what his living conditions are but he has sent word to say that he is alive and that he would send more news soon. He is the author of ‘Alphabet of the Night’ published by Pushkin Press. He was Director of the National Library of Haiti. He has published several works in Creole and is co-founder of the literary magazine ‘Lire Haiti’. He lives in Port-au-Prince, Haiti. As some readers may recall, I wrote up his Alphabet of the Night here, an excellent novel though one for those with a liking for poetic language.